Account Selection – Identify specific accounts you’re going to target. Usually manual and reflective of existing sales assignment of accounts, this is a mission critical area that could greatly benefit from more robust solutions, like the growing list of B2B Predictive Analytics platforms. Insights – This is the planning and preparation stage: account profiles (decision makers, buying process, trends, needs identification, value props), account marketing plan (strategy, objectives, media, budgets), data preparation (aggregate, cleanse, append, roll up to account). Content – Content strategy and production drive the media and messages to be delivered in order to achieve each account marketing plan. Orchestration – Define and configure the relationship between account marketing plan and content and channel delivery. Distribution – Deliver impressions based upon orchestration parameters (email, phone, website, display, social, search). Measurement – Descriptive analytics based upon account level activity (rather than channel, campaign or platform), designed to identify and optimize results of investments and optimize the relationship between the account marketing plan, content and orchestration. The reality is that most of the dialog surrounding ABM exists in only a few of these areas… usually around distribution, and most often only about display ads. This is precisely the reason why we have such disconnect in the desire to deploy ABM and the ability to do so. 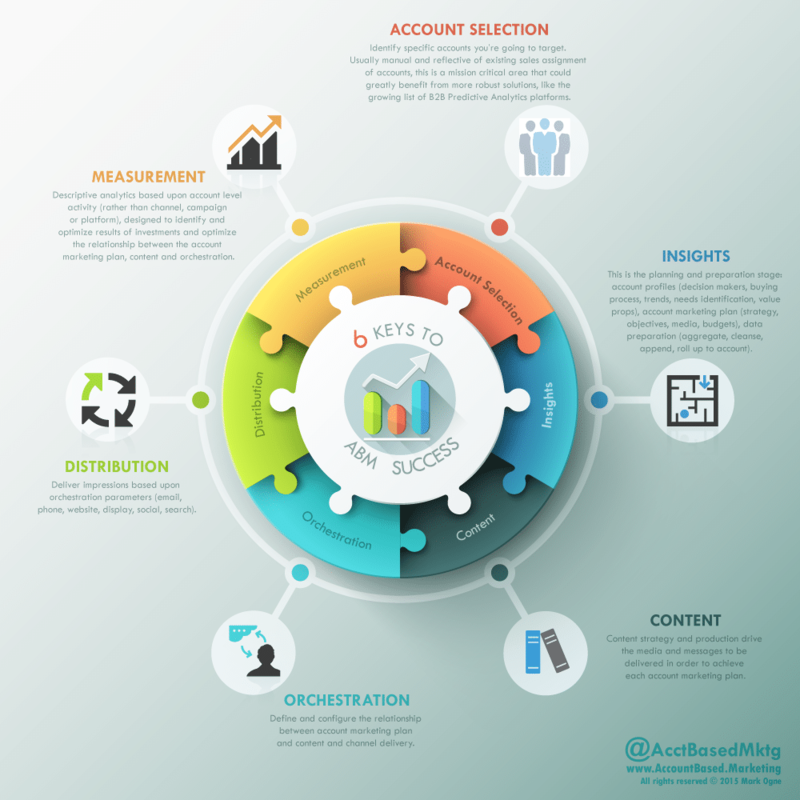 Without a conscious understanding of the full set of requirements, account based marketing will never become a scalable and successful new engagement strategy.